It is no secret that social media has become a ubiquitous part of people’s daily life. Maybe its primary function is still the one to connect people, facilitate the communication process, and express ourselves. However, social networks are continuously extending the scope of their business, being frequently used as news sources, entertainment pastime, and uniting brands and communities for all kind of experiences, such as shopping. That’s right. Nowadays social media does not only influence buyers decisions, in the search for reviews about products and brands for instance, but it can be used as a effective channel for sales, with shoppable content and direct links to online stores. Talking about channels, we suggest you look at this post to discover how multichannel marketing can help improving your sales. Social shopping is estimated to be responsible for the 6.5 billion dollars in sales of the top 500 retailers in 2017, a number that is very likely to increase even more in the next few years. Your audience is online, social and mobile, so even if you only have a small store, you should consider having an online site or a social profile in which shoppers can find at least the basic information about your company like the address, telephone number and what kind of products or services you have. These strategies make you visible and allows consumers to easily contact you. Summing up, for so many customers, being online means that you REALLY exist. Produces valuable insights from your customers. It seems clear that being on social media is a key component of online business strategies and one of the most profitable marketing channels available today, but is your store really getting the most of it? In broad terms, Social Commerce is the art of using social networks to sell a product or service online. In order to sell, you can either do it indirectly, using social media and its features to promote your brand through user ratings, online communities, posts and social advertising, or you can do it by listing your products and selling them in the social network itself. With more than 1.71 billion monthly active users, Facebook is the leader of social commerce. The social platform has recently added features so ecommerce stores can simplify their path to purchase and sell their products from their Facebook pages, like the “Shop Now” store. Nonetheless, you should use this tool with moderation, only choosing some products to expose on the social network, not to overwhelm your followers with options and drive them away. Do not forget you can create a Facebook ad to promote one of your products as well. It takes only a click to set up your Facebook shop. On your business Facebook page, find the button “Add Shop Section” and click on it. After confirm it, you will need to answer some questions about your business and the payment methods. Facebook gives you the option to buy from its page or to connect it to your website. After connecting both platforms, you will be able to add products to your shop and manage them. The Facebook Shop has also a mobile-friendly layout, that permits your customer to have a great user experience in all device formats. When working with the Woocommerce platform, you can easily add its Facebook extension to optimize your performance on the social network. This extension will help to manage Facebook campaigns and reach people that are visiting your website or that are looking for what you sell, presenting the right products according to their interest. All results are measured and can be used to clarify what happened during the campaign and what can be done to improve it even more. Twitter has some of the same features that Facebook provides. First of all, you can also have promoted tweets, when you pay to show up for your target audience. It has also followed the trend of direct shopping and now provides a “buy button” for the products that are shown, allowing people to purchase an item without leaving Twitter’s main site. However, Twitter was innovate creating the offer button, which allows its followers to enter their information to claim discounts and other special offers. The best example of a successful company that uses social commerce the right way is Burberry. The best thing about Pinterest is that the majority of site content is made up of “repins”. It means that original content creators benefit by having their pins constantly saved and showed to new viewers. And as visual representation is the essence of Pinterest, like in a real showcase, there is no need to discuss the importance of taking great pictures to show of your products the best way you can. Buyable pins were probably one of the responsible factors for the growth of the social network in 2015 to more than 60 million users today. Another important fact is that orders made because of Pinterest have an average order value of $50, which is the highest among all social media platforms. Macy’s, Bloomingdale’s and Nordstrom are three good examples of how to use the platform the right way. Talking about showcases and visual references, we cannot forget Instagram and its 800 million users. Through its tools, online companies can insert ads and call-to-actions like the little bag icon, the “install now” button or the price tags on the products, providing a smoother experience of acquisition for their customers, mostly millennials. Instagram also likes to focus on customer’s perspective and worries about giving them a valuable experience of shopping, instead of simply impulse buying. This benefits both customers and companies, improving the quality of social commerce overall. Some of the top Instagram stores are Harrods, Whole Foods and Nordstrom (yeah, again!). By the way, Nordstrom would be an excellent example of how to make great use of more than one social network at the same time, in an efficient and smart way. There are many other social networks we could talk about. Each one was created with a different purpose and has its cons and pros, and even different audiences, so it is important to know them better so you can come to the right decision. While Facebook has a massive audience and is the one who generates more traffic overall, Twitter can be the best for real-time updates and customer service. Pinterest (like Instagram) seem to be the right choice to promote products based on visual content, but is still growing as an ad platform. Besides that, use the social networks with knowledge and creativity, so you can gain the attention from your store’s audience and stand out in the market. For those businesses that want to sell abroad and do not have an online store yet, there is a new platform available that can help with that: it is called Mixtore and is specialized in the Brazilian market. 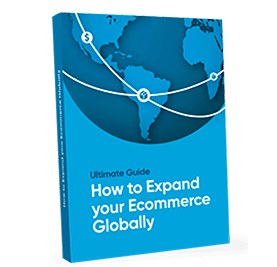 As the largest economy in Latin America and home to more than 58 million of online shoppers, it is not difficult to guess why so many global ecommerces websites are opening their doors to selling in Brazil. So if you are one of them but do not know where to start, Mixtore provides you with support, a showcase and a product page to display your products, allowing Brazilians to purchase with their favorite local payment methods, and business owners to sell and manage the platform with no trouble. Also the system can be integrated with Shopify! The amount of time people spend on social media has been increasing every year and online stores can profit a lot from the convenience, simplicity and impulsivity that only social platforms can provide. Being aware of the power of being online and social, will help you benefit from one of the most promising opportunities to grow your business and sell more. Get the most relevant information about ecommerce.